Now, we’ve tattooed celebrities before, but at Snake & Tiger Tattoo we can be trusted to be extremely discreet and would never publicise anything that someone in the public eye did not want on social media. But when said famous person posts it on their own Instagram, and tags you and your shop then it’s all good to share! 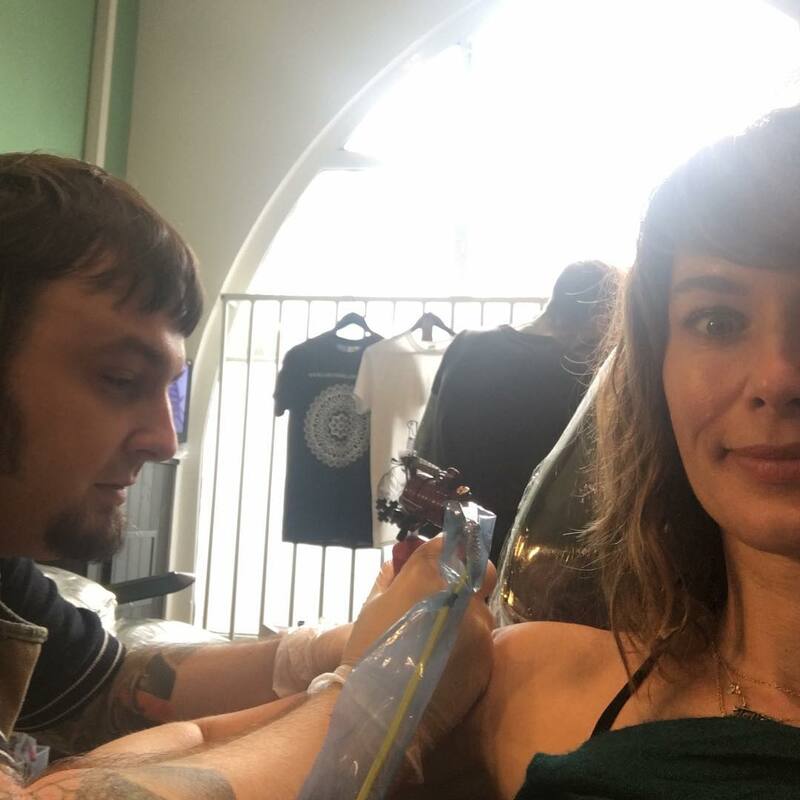 Lena Headey, aka Cersei Lannister from Game of Thrones, aka Sarah Connor in the TV Terminator, aka her from the newer Judge Dredd movie, aka the really talented actor who is also a Yorkshire native, came into Snake & Tiger for her latest tattoo this week! Honoured to be trusted with such a famous canvas, and she was friendly and down to earth so a real pleasure. I hope I’ll get to design more for her next time she swaps King’s Landing for Leeds! See the original photo on Lena’s Instagram, @iamlenaheadey and of course I reposted it on mine, Chris Lambert Tattoo, @chrislamberttattoo.